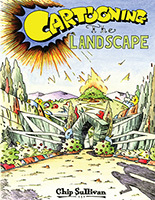 Cartooning the Landscape is framed by a loose narrative in which a young man’s search for wisdom is fulfilled by a comics shop owner who instructs him not only in the essentials of illustrating but in how to see. The book takes us on a whirlwind series of journeys and is also a plea, in an era increasingly dominated by digitally rendered images, for a new appreciation of the art of hand drawing. 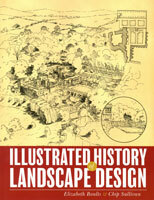 The Illustrated History of Landscape Design takes an optical sweep of iconic landscapes constructed throughout the ages. Organized by century and geographic region this highly visual reference uses beautifully detailed pen and ink drawings to capture the eye and delight the mind. Historical literary sources are illustrated in a "Graphic Novel" format to communicate the influence of these texts on landscape architecture. 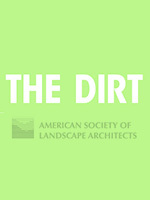 The Amercican Society of Landscape Architects official blog The Dirt has published several posts featuring my lectures and work. 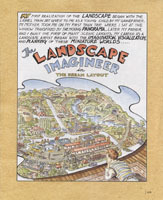 The Landscape Architecture Magazine serialized comics are an on-going project that I have both written and drawn. A variety of subjects have been explored in the comics thus far, including the creative process, the plein-air painter of Rome, landscape optical devices, model trains, panorama paintings, etc. 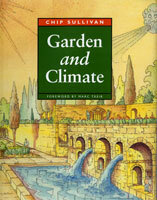 Garden and Climate describes historical trends and examples as inspiration for modern landscape designs. It addresses emotional as well as the physical influences of microclimates. Garden and Climate's overarching goal is to inspire design, which balances beauty with responsibility. Many new and exciting possibilities lie ahead in the creation of new garden forms for energy conservation. Innovative passive design solutions that are proposed in Garden and Climate could help reduce our growing energy demands not only in the landscapes of America, but most importantly, throughout the world. Only through the physical act of drawing can we understand what we see. Drawing can be used to learn, to analyze, to see, to record, and to give form to the gesture of thoughts. 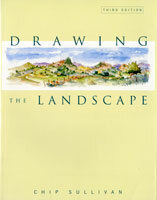 Every chapter of Drawing the Landscape shows you how you can do the very same and bring a new vitality to your drawing. Drawing the Landscape will enable you to gain the skills and confidence to create your own powerful and personally satisfying vision of the natural landscape. Double Imperative Landscapes: Daydreams of Frascattii is a collaboration interweaving the prose of American poet Steven Rodefer with the pen and ink drawings of Chip Sullivan. 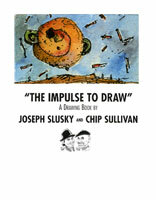 The Impulse to Draw: A Guidebook to the Imagination, is a powerful, dynamic and eye-popping guide to the creative process. The manuscript reveals the inner working of the creative mind, the reverie of the imagination and the transformative power of drawing. The Impulse to Draw is a profusely illustrated with poetic insights, humorous allegories and substantive techniques designed to launch the reader on his or her own journey of self-discovery.